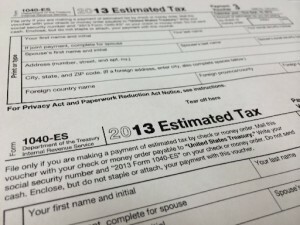 The federal income tax deadline looms, but Tennesseans have reason to celebrate. As of April 5, Tennesseans collectively had made enough money to pay their total federal, state and local tax bill for 2014, according to the Tax Foundation’s annual Tax Freedom Day calculations. Tennessee has one of the earliest Tax Freedom Days in the country, according to the Washington, D.C. based think tank’s annual report. Only Louisiana (March 30), Mississippi (April 2), and South Dakota (April 4) achieved tax freedom earlier this year. For the nation as a whole, Tax Freedom Day arrives on April 21 — three days later than last year “due mainly to the continuing economic recovery, which will boost federal tax revenue collected through the corporate, payroll, and individual income tax,” according to a news release. — Americans will spend more on taxes in 2014 than they will on food, clothing, and housing combined. — Americans will spend 42 days working to pay off income taxes, 15 days for excise taxes, and 11 days for property taxes. — Americans will pay $3 trillion in federal taxes and $1.5 trillion in state and local taxes, for a total bill of more than $4.5 trillion, or 30.2 percent of the nation’s income. The Tax Foundation, which generally is critical of all tax increases, describes itself as a nonpartisan tax research group. Click here for the full Tax Freedom Day report. This entry was posted in Taxes and tagged corporate taxes, federal, income taxes, local taxes, sales taxes, state, Tax Foundation, Tax Freedom Day. on April 8, 2014 by Roger Harris. Drink up and support state government. Tennessee’s tax system is one of the most business-friendly in the country, but not so when it comes to taxes for your favorite adult beverage. 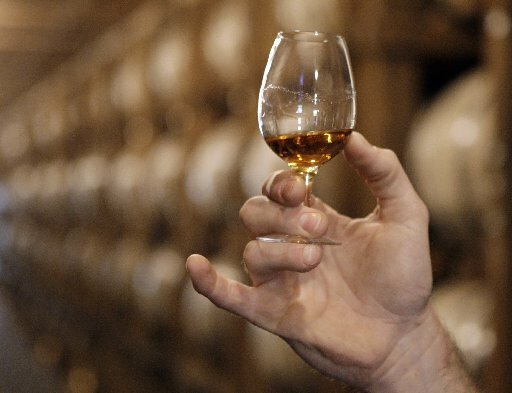 Tennessee ranks sixth on the “Worst States for Alcohol Taxes” list complied by NerdWallet, a financial information website founded by a former hedge fund analyst and a derivatives trader. Beer drinkers pay the highest taxes at 11 cents per standard drink, the highest beer tax in the country, according to the NerdWallet analysis of alcohol taxes for all 50 states. Arkansas has the next highest beer tax at 10 cents per standard drink. Tennessee taxes on wine and spirits are considerably less stiff at 5 and 5.2 cents per standard drink, respectively, NerdWallet says. The relatively low rate on spirits is understandable given that Tennessee is the home of the iconic Jack Daniel’s Distillery. The worst state for alcohol taxes is Washington, where the tax on spirits is a whopping 41.3 cents per standard drink. To compile its rankings, NerdWallet says it, “crunched to numbers to find the states with the highest taxes on alcohol and compared those numbers with the total volume of beer, wine and spirits consumed in each state. The result? A definitive guide to which states tax their citizens the most for their enjoyment of booze. Click here for the NerdWallett report. Click here for Tennessee Department Revenue info on alcoholic beverages taxes. This entry was posted in Taxes and tagged alcohol taxes, beer, Jack Daniels, NerdWallett, spirits, wine, Worst States for Alcohol Taxes on October 31, 2013 by Roger Harris. 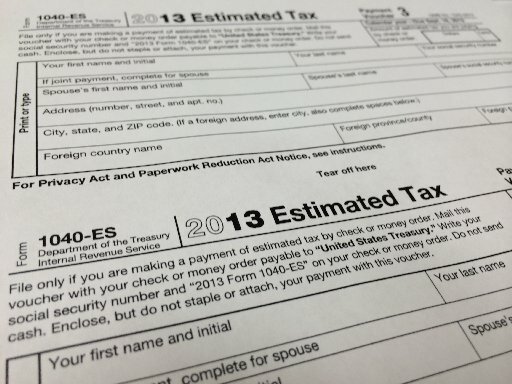 When it comes to taxes, Tennessee continues to be one of the most business-friendly states in the country, according to a Tax Foundation report released today. Tennessee ranks 15th on the 2014 State Business Tax Climate Index, unchanged from a year ago. The index reflects the tax climate of each state as of July 1, 2013. The Volunteer State has a more business-friendly tax climate than all neighboring states and in the southeast region, only Florida ranks higher at No. 5. Wyoming has the nation’s most business-friendly tax structure, followed by South Dakota, Nevada, Alaska, Florida, Washington , Montana, New Hampshire, Utah and Indiana. The most unfriendly states for business taxes are mostly on the coasts and in the northeast. The bottom ten are Maryland, Connecticut, Wisconsin, North Carolina, Vermont, Rhode Island, Minnesota, California, New Jersey and New York. The Tax Foundation evaluated five types of taxes — corporate, individual income, sales, unemployment insurance and property taxes. Not surprsingly, Tennessee ranked best — No. 8 — in individual income tax and worst — No. 43 – in sales tax. Tennessee has one of the highest combined state and local sales tax rates in the country. Tennessee’s tax climate gives it an edge over most other states in the business recruitment. Click here for the full Tax Foundation report. This entry was posted in Taxes, Uncategorized and tagged business recruitment, corporate taxes, incidual income taxes, property taxes, slaes taxes, Tax Foundation, taxes, Tennessee, unemployment insurance taxes on October 9, 2013 by Roger Harris. Tennessee slipped a notch, but remains among the most business-friendly states for taxes, according to a new Tax Foundation report released today. The state is 15th on the Tax Foundation’s 2013 State Business Climate Index, down from 14th in the 2012 index. The 2013 index reflects tax policies for the various states as of July 1, the first day of the 2013 fiscal year. Tennessee’s taxes are more business-friendly than all bordering states, which can be an edge in business recruitment. This entry was posted in Taxes and tagged 2013 State Business Tax Climate Index, business-friendly, Scott Drenkard, Tax Foundation, taxes, Tennessee on October 9, 2012 by Roger Harris. Tennessee ranks highest among all 50 states in a new study of state and local sales taxes released today by The Tax Foundation, a nonpartisan research organization. Tennessee has the highest combined state and local sales tax rate with an average of 9.43 percent, according to the study. Arizona is the next highest at 9.12 percent. Rounding out the five highest states are Louisiana (8.86 percent), Washington (8.83 percent) and Oklahoma (8.68 percent). Tennessee shoppers will get a break from nation’s highest sales tax rate this weekend with the annual state sales tax holiday Friday through Sunday. This entry was posted in Taxes and tagged combine tax rate, local, sales tax holiday, state, Tax Freedom Day., taxpayers, Tennessee sales tax, The Tax Foundation on July 31, 2012 by Roger Harris. Buffett Rule: Job killer or reasonable policy? With the Buffett rule up for a Senate vote next week, the PR machine has moved into high gear as interest groups try to build public support for their side. Depending on who’s talking, the proposed new tax rate for millionaires would be a massive job killer or a reasonable step toward balancing the federal budget. Among the press releases landing in my inbox today were missives from the International Franchise Association and a group called United for a Fair Economy. Guess which one supports raising taxes on rich folks. This entry was posted in Taxes and tagged Buffett rule, federal budget, International Franchise Associated, job creators, millionaires, Senate, tax rates, taxes, United for a Fair Economy on April 10, 2012 by Roger Harris. Are tax increases in our future? The Knoxville Economics Forum will step into the middle of one of the most divisive issues of the presidential campaign at its April 20 meeting – tax increases. Cutting taxes, especially corporate tax rates, are a central theme of the Republican candidates campaign, while President Barack Obama and the Democrats want to raise taxes on millionaires. This entry was posted in Taxes and tagged fiscal crisis, Knoxville Economics Forum, President Barack Obama, presidential campaign, Republican presidential candidates, tax increases, taxes on April 5, 2012 by Roger Harris. another two weeks or more to reach Tax Freedom Day, Tennessee workers passed that milestone on March 31, according to the Tax Foundation. Tennessee has the lowest average tax burden in the country this year, the foundation says. Tax Freedom Day represents how long it will take the average worker to earn enough money pay his or her total federal, state and local tax obligation for the year. For the nation as a whole, Tax Freedom Day this year comes on April 17. This entry was posted in Taxes and tagged corporate taxes, federal, income taxes, local, payroll taxes, property taxes, sales taxes, state, Tax Foundation, Tax Freedom Day., taxes, Tennessee, workers on April 4, 2012 by Roger Harris. Tennessee is in the bottom half of a new study that measures the tax burden businesses would face in each of the 50 states. The Tax Foundation study released today ranks states based on the tax liability for both mature and new businesses. Tennessee is 29th in both categories, which means it has a heavier tax burden than most of the country. This entry was posted in Taxes and tagged call denters, corporate headquarters, distribuition centers, manufacturing, research and development, retail, Scott Hodge, tax burden, Tax Foundation, tax liability, taxes, Tennessee on February 29, 2012 by Roger Harris. A two-year delay in requiring Amazon to collect Tennessee sales taxes could move a step closer to reality Tuesday with votes scheduled by state House and Senate committees. Gov. Bill Haslam is pushing for the delay and supports a federal solution to the sales tax issue. Waiting two years to make Amazon collect taxes on sales to Tennessee residents is a whole lot better than never making the online retailer collect state taxes, which was the original deal brokered by his predecessor, Haslam says . Maybe so, but waiting till 2014 still leaves a lot of money on the table – something like $22 million a year in state sales taxes and $9 million a year in local sales taxes. This entry was posted in Taxes and tagged Amazon, businesses, delay, Gov. Bill Haslam, House, Internet, online, sales taxes, Senate, Tennessee on February 6, 2012 by Roger Harris.